Recent restorations of fortresses and other archaeological sites have been funded mostly with EU money for the development of cultural tourism. They generally enjoy public support as many, if not most, of Bulgaria’s glorious ancient and medieval cities and public buildings were razed to the ground by the Ottoman Turks during their invasion and conquest in the 14th-15th century. Yet, the restorations have become a very hot public issue in Bulgaria as some of them have been notoriously botched. The project of architect Yuliy Farkov for the restoration of the Nebet Tepe fortress worth EUR 2 million was approved by Bulgaria’s Ministry of Culture in 2014 but caused a public outrage after it was leaked that it proposed somewhat of a “Western European"-style restoration that would have hardly presented an authentic view of ancient Plovdiv. It was said to be focusing on the Middle Ages and what was described as “knights", and to be providing for the (re)building of a 14-meter fortress tower. In the months since then, however, the authors of the project have changed it to focus on Plovdiv and Nebet Tepe in the period of Ancient Thrace. The rewritten project is entitled “Nebet Tepe – the Citadel of the Odrysae" referring to the Odrysian Kingdom, the most powerful state of the Ancient Thracians, providing, among other things, for rebuilding part of the preserved fortress wall to a height of 4 meters, and re-erecting the remains of the preserved fortress tower to a height of 8 meters. It also provides for exposing the Roman or Byzantine underground secret passage found at Nebet Tepe (see the Background Infonotes below). The major scandal during the public hearing, which has been attended by more than 200 people, has erupted as Bozhidar Dimitrov, Director of Bulgaria’s National Museum of History and a major proponent of archaeological restoration projects, has been booed by the attendees, local news site Plovdiv 24 reports. The public discussion was also attended by Plovdiv Mayor Ivan Totev and representatives of the Bulgarian Ministry of Culture and the National Institute for Cultural Heritage Properties, a government body which has recently been the target of political debates, and has been blamed by Dimitrov for approving the reconstruction of the medieval fortress in the western Bulgarian city of Pernik – the most terribly executed of Bulgaria’s recent fortress restorations. “Architect Farkov is restoring the historical memory with his project," Dimitrov has managed to state before he got booed by the audience, Radio Plovdiv reports. He has left the discussion but this has not put an end to the tense situation as the majority of the people in the overcrowded hall were apparently against the project for the restoration of the Nebet Tepe fortress. Plovdiv Mayor Ivan Totev has underscored that the hearing, which took place on Friday, March 27, 2015, is the first of as many public discussion as will be need until a consensus is reached for the future vision of Nebet Tepe, one of Plovdiv’s major archaeological landmarks. The restoration project has been presented by its author, architect Yuliy Farkov, who has explained that it focuses on Nebet Tepe’s Ancient Thracian period based on existing archaeological evidence. Yet, he admits that at least 3-4 months of additional research will be needed in order to clear any doubts regarding the dating of the archaeology artifacts discovered on Nebet Tepe. More than 50 experts such as archaeologists and architects as well as other citizens have spoken during the heated four hour public meeting, the overwhelming majority of them being against the proposed project, while agreeing that some kind of a restoration project can be executed in order to make the Nebet Tepe fortress more accessible and better known. Most have called for further excavations of the site and additional research as well as a competition for architectural projects. Some of the speakers have declared that “Bulgaria is no Ireland or Scotland" where fortresses from past ages have been preserved and will have to make do with whatever has been left. Architect Prof. Todor Krastev, a critic of the archaeological restorations in Bulgaira who has recently been called a “swindler" by National Museum of History Director Bozhidar Dimitrov, has reiterated his earlier criticism stating that the proposed project would “close the window to history". He says the proposed project providing for rebuilding part of the fortress wall with the preserved rectangular tower simplifies and forges the history of Nebet Tepe because it uses an incomplete set of archaeological data. One of the Plovdiv residents has declared that there are volunteers ready to stand guard at Nebet Tepe in order to prevent Plovdiv Municipality from executing the proposed project, while another has described the project as “a piggy bank that must be broken so that some money can be stolen". “There has been no archaeological documentation for Nebet Tepe since 1980. It has to be recovered in order to be used for the project," architect Yuliya Stefanova from Bulgaria’s Cutlure Ministry is quoted as saying. The Director of the Plovdiv Museum of Archaeology, Kostadin Kisyov, has admitted that there is no complete geodesic data for Nebet Tepe. He believes additional excavations need to be carried out at the Late Antiquity homes on Nebet Tepe, and on one of Plovdiv’s seven other historic hills, Rahat Tepe, located nearby where archaeologists have found an Early Iron Age layer at a depth of 3 meters. Stefanova has also pointed out that Nebet Tepe is an exclusive property of the Bulgarian government which is not going to permit any reconstruction without proper architectural information. The Plovdiv Mayor has retorted that he would not be taking pride in Nebet Tepe’s status as government property given its neglected condition. Given Stefanova’s strong language, it has remained unclear why the Bulgarian Culture Ministry approved architect Farkov’s initial “Western European"-style project for Nebet Tepe in the first place. Nonetheless, she has suggested that a working group be set up to form a plan for the reconstruction, conservation, and exhibition of Nebet Tepe, a motion approved by Mayor Totev who has announced that the next public discussion will be held in a month. Some of the participants in the meeting have suggested organized an international competition for the restoration project but this idea has been dismissed by Mayor Ivan Totev with the argument that the Bulgarian scholars are sufficiently qualified to do a good job with it. 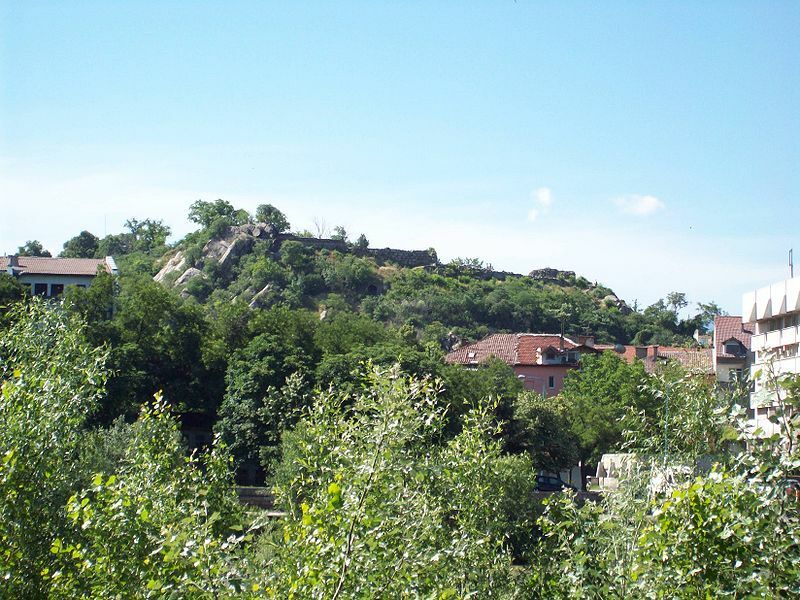 The ancient hill of Nebet Tepe (“tepe" is the Turkish word for “hill") is one of the seven historic hills where today’s Bulgarian city of Plovdiv was founded and developed in prehistoric and ancient times. The hills, or “tepeta", are still known today by their Turkish names from the Ottoman period. Out of all of them, Nebet Tepe has the earliest traces of civilized life dating back to the 6th millennium BC, which makes Plovdiv 8,000 years old, and allegedly the oldest city in Europe. Around 1200 BC, the prehistoric settlement on Nebet Tepe was transformed into the Ancient Thracian city of Eumolpia, also known as Pulpudeva, inhabited by the powerful Ancient Thracian tribe Bessi. During the Early Antiquity period Eumolpia / Pulpudeva grew to encompass the two nearby hills (Dzhambaz Tepe and Taxim Tepe known together with Nebet Tepe as “The Three Hills") as well, with the oldest settlement on Nebet Tepe becoming the citadel of the city acropolis. In 342 BC, the Thracian city of Eumolpia / Pulpudeva was conquered by King Philip II of Macedon renaming the city to Philippopolis. Philippopolis developed further as a major urban center during the Hellenistic period after the collapse of Alexander the Great’s Empire. In the 1st century AD, more precisely in 46 AD, Ancient Thrace was annexed by the Roman Empire making Philippopolis the major city in the Ancient Roman province of Thrace. This is the period when the city expanded further into the plain around The Three Hills. Because of the large scale public construction works during the period of Ancient Rome’s Flavian Dynasty (69-96 AD, including Emperor Vespasian (r. 69-79 AD), Emperor Titus (r. 79-81 AD), Emperor Domitian (r. 81-96 AD)), Plovdiv was also known as Flavia Philippopolis. Later emerging as a major Early Byzantine city, Plovdiv was conquered for the First Bulgarian Empire (632/680 – 1018 AD) by Khan (or Kanas) Krum (r. 803-814 AD) in 812 AD but was permanently incorporated into Bulgaria under Khan (or Kanas) Malamir (r. 831-836 AD) in 834 AD. In Old Bulgarian (also known today as Church Slavonic), the city’s name was recorded as Papaldin, Paldin, and Pladin, and later Plavdiv from which today’s name Plovdiv originated. The Nebet Tepe fortress continued to be an important part of the city’s fortifications until the 14th century when the Second Bulgarian Empire (1185-1396 AD) was conquered by the Ottoman Turks. During the period the Ottoman yoke (1396-1878/1912) when Bulgaria was part of the Ottoman Empire, Plovdiv was called Filibe in Turkish.